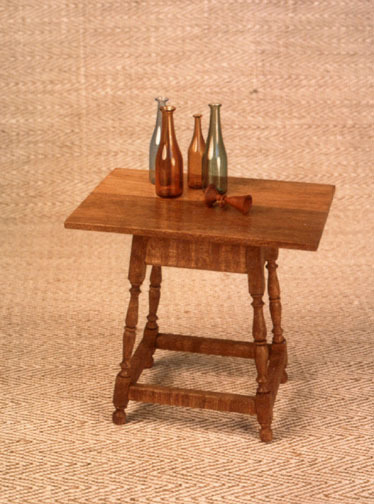 In June of 1982, I built 16 of these tavern style table. This was a very sturdy and durable table design. These are made of Broadleaf Maple, with quilted tops.